The primary purpose of prayer ministry is to see each individual face himself and then face God. Whether you are just beginning your healing journey or you are well into the process, continued spiritual growth often hinges on how transparent and receptive you are in your journey. At Places In The Father’s Heart (PITFH) we provide Holy Spirit led, Biblically based prayer ministry. The ministry will address and deal with issues and struggles and the focus will be on identifying and healing underlying reasons or root issues that exist in the individual that hinder the manifestation of the life of Jesus in the person and the ability to receive the Father’s unconditional love. We minister to the whole man ~ spirit, soul and body. Places In The Father’s Heart, Inc. Many confuse Life Coaching with Prayer Ministry. Life Coaching is designed to deal more with the present rather than dealing with past issues that need healing and resolution. In Life Coaching sessions, we do not attempt to resolve strongholds [which are landing pads for the enemy] like depression, anxiety, anger and fear. Strongholds are resolved through Prayer Ministry by focusing on a problem and what got you there. Prayer Ministry and Life Coaching are offered on a love offering basis. We ask each client to seek the Lord and ask for His direction concerning what they are to share with PITFH and how often, and then be obedient to His instruction. PITFH is solely supported by donations and love offerings. Every offering we receive helps keep us available to the Body of Christ and will be passed forward to build the Kingdom. For your convenience, click here to make a Prayer Ministry or Life Coaching Love Donation. Through our PayPal link, offerings can be made with most major credit cards and if you have a PayPal account, direct transfers can be made to the PITFH PayPal account without any fees. NOTE: We are not licensed, professional counselors. We are people just like you who are in the process of our own healing journey. We are School of the Holy Spirit trained and have had 36 years of ministry experience. In addition, we have studied under several mature, well respected ministries who specialize in Christian prayer ministry such as Alfred H. Ells, MC and founder of Leaders That Last Ministries™, Mesa, AZ., Arthur Burk of Plumbline Ministries and Sapphire Leadership Group, Anaheim, CA., and the late John and Paula Sandford of Elijah House Ministries. 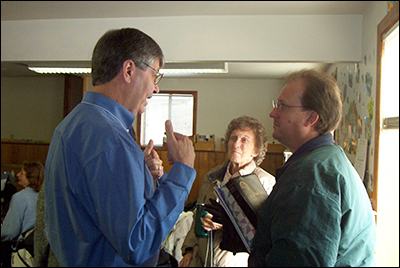 We traveled extensively in 2004-2005 with the late Jack Frost who along with Ed Piorek and James and Denise Jordan are some of the primary leaders of the current day message of the Father’s love worldwide. The Taylors are available to pray about coming to your location to share in times of teaching and impartation of the Father’s love in relaxed and informal settings where everyone is free to fully participate in the discussions. They will speak with openess and transparency sharing many of their own testimonies and move toward creating an atmosphere where the Holy Spirit is free to change hearts and lives. If you would like to discuss the possibility of the Taylors to coming to share with your group, please feel free to Contact us for more information or if you have any questions. Helping troubled marriage relationships find Father’s love and then give it away. 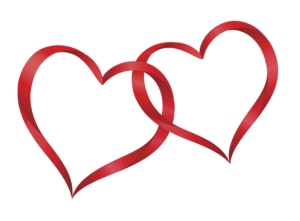 Premarital coaching to help couples learn how to become the right mate before the big date! When two hearts are open, love can get in. Marriage is not so much finding the right person as being the right person. Often two people will perform to win a spouse, but once they are married, the performance wanes and the real person comes out of hiding. This is where the work of marriage begins! 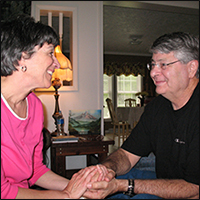 Roger and Gerri have been married 55 years and been through many ups and downs in their marriage relationship. Through their experiences, they can help you find THE HEART OF THE FATHER FOR YOUR MARRIAGE.